Poppy Seed Tea High - Can Poppy Seed Tea Make You High? As poppy seed tea gains in popularity, and the consumption of this powerful tea becomes more common, several questions have arisen. One of the main questions people have regarding Poppy Seed Tea is whether there is a Poppy Seed Tea High. There are several places online where Poppy Seed Tea is referred to as the best legal high available, and many members of the PSTR community have asked me questions regarding the euphoric feelings associated with some forms of this tea. Some people consider it a legal herbal remedy for several physical and psychological issues. If you are curious about making poppy seed tea, you should check out my Poppy Seed Tea Recipe. This post is for informational purposes only, I do not suggest growing or ingesting poppy plants in any form. It is dangerous and can lead to possible addiction. Will poppy seed tea cause euphoria? The answer is, for most people, YES! The opiate alkaloids in poppy seed tea connect to pain receptors and send euphoric signals of pleasure to your brain. The tea eventually changes the way your brain perceives pain. 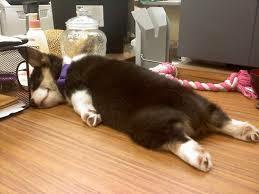 Poppy seed tea effects typically set in about a half hour after consumption and last for up to 12 hours. The psychological effects include sensations of warmth, pleasure, elevated mood and feelings of euphoria. Some experienced tea drinkers will even say that they prefer the tea to other euphoria inducing opiates including pain medications and heroine. 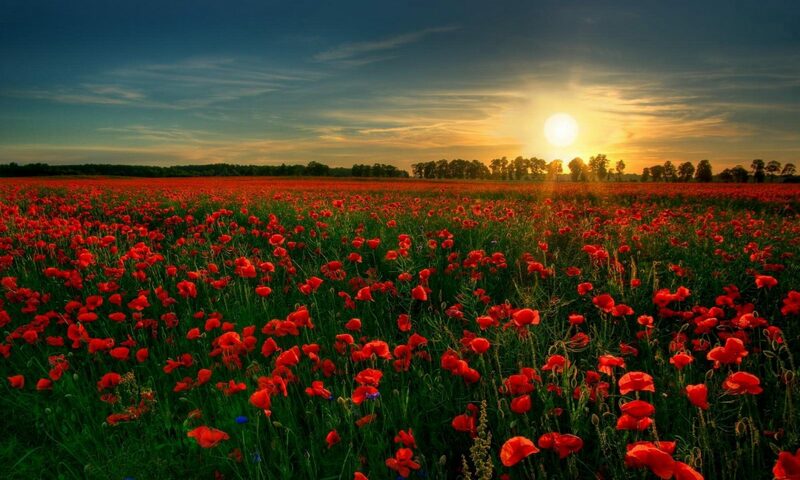 When you consume poppy tea, the opiate alkaloids attach to receptors in your brain. Normally opioids are naturally created inside your body. Once attached, they send signals to the brain of the “opioid effect” which blocks pain and has a general calming and mood enhancing effect. Your body can’t create enough natural opioids to stop severe or chronic pain nor can it produce enough to cause an overdose. When you consume poppy tea, the opioids can activate receptors because their chemical structure mimics that of a natural neurotransmitter. This similarity in structure tricks the brain’s receptors and this permits the poppy tea alkaloids to activate the same nerve cells. Although poppy tea alkaloids mirror brain chemicals, they don’t completely activate nerve cells in the exact way as the natural neurotransmitter. All opiates including poppy tea target your body’s reward system by covering your brain’s circuit with dopamine. Dopamine is a neurotransmitter present in regions of the brain that regulate movement, emotion, cognition, motivation, and feelings of pleasure. The overstimulation of this system, which rewards our natural behaviors, produces the euphoric effects sought by people who ingest poppy tea and teaches them to repeat the behavior by consuming more tea in the future. Due to the opiate alkaloids mentioned in the section above, there is a chance of testing positive on a drug test if you consume poppy seed tea. If you end up taking a drug test after drinking the tea, you can fail the test for opiates. Strong poppy seeds with high opiate alkaloid content, such as the seeds included on my current list of Best Seeds for Poppy Seed Tea. Some drug testing methods will differentiate poppy tea consumption from other opiates if care is given. I would suggest avoiding consuming this tea if you know or think there may be a drug test in your near future. There is a related herbal tea website that explains poppy seed tea drug testing in detail. 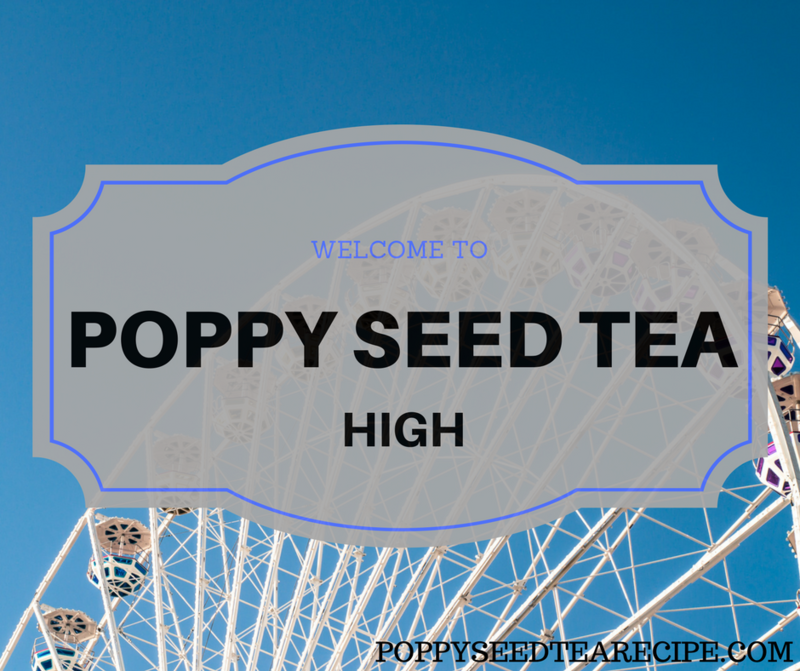 I hope that this post has helped you learn more about experiencing a Poppy Seed Tea High. Each individual is has a unique body chemistry, and the effects of poppy seed tea can vary widely. It is important to remember that poppy seed tea is potentially dangerous and habit forming. Speak with you doctor before consuming any forms of herbal tea. Have you ever felt high after consuming poppy seed tea? Please share your experiences in the comments section below. Poppy Seed Tea High - Read for information on Poppy Tea High . Can poppy tea make you high? The answer is included, from your Poppy Tea Resource!